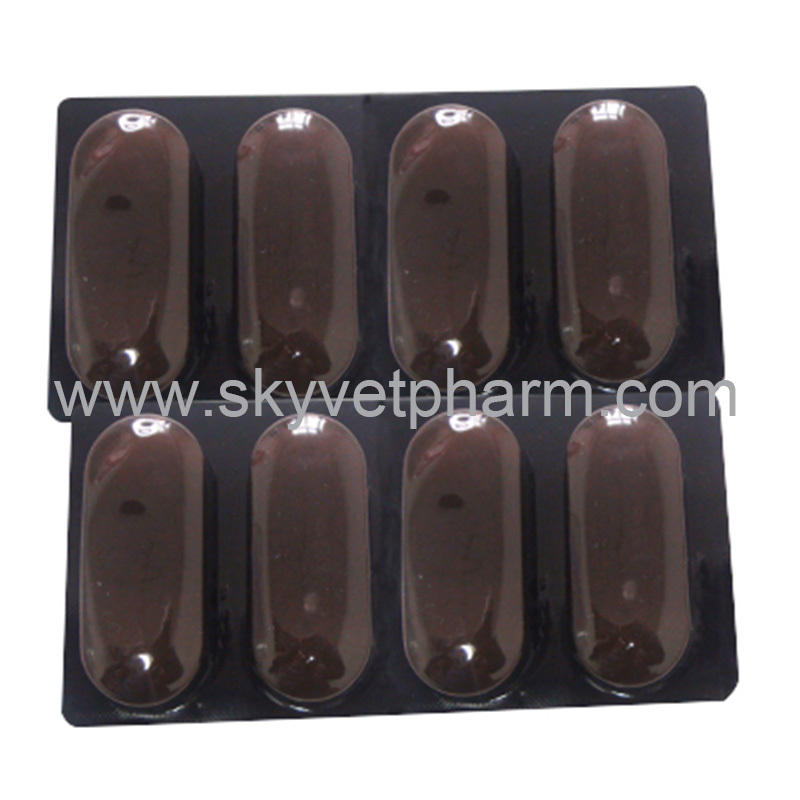 Each tablet contains Albendazole 300mg, Oxyclozanide 150mg and cobalt 2.5mg. 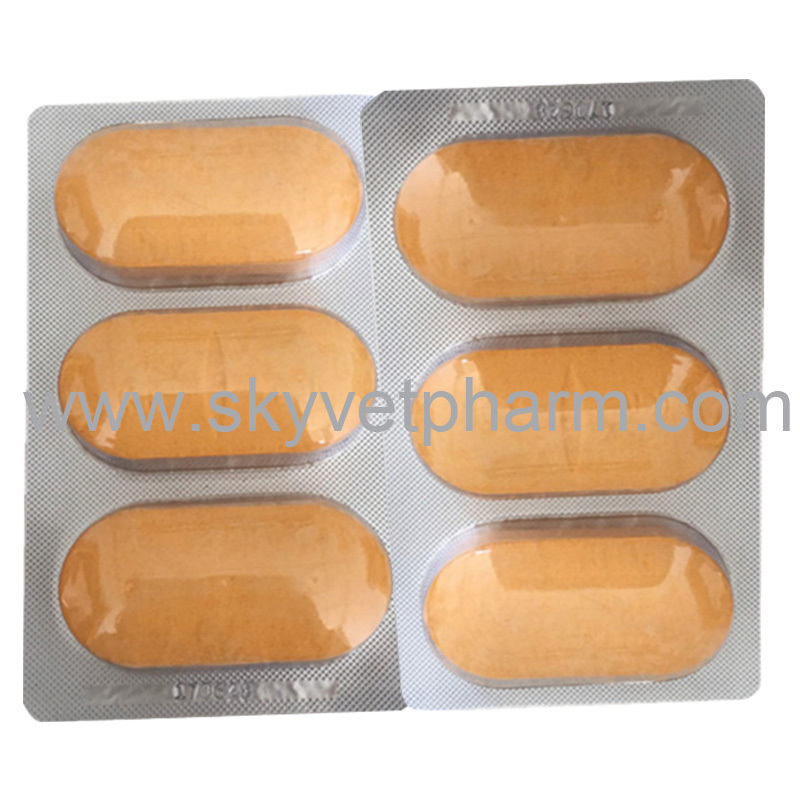 Albendazole is used to treat a variety of intestinal helminth parasites. It has been used for treating parasitic infections of the respiratory tract, including Capillaria aerophilia, Paragonimus kellicotti, Aelurostrongylus abstrusus, Filaroides spp., and Oslerus osleri. 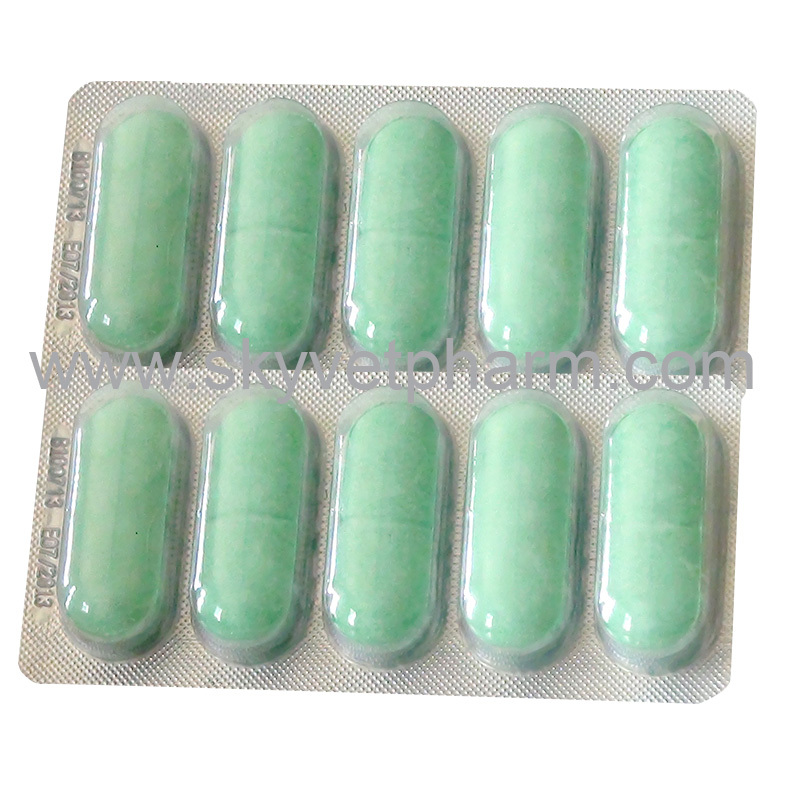 It is also effective for treatment of Giardia in small animals. 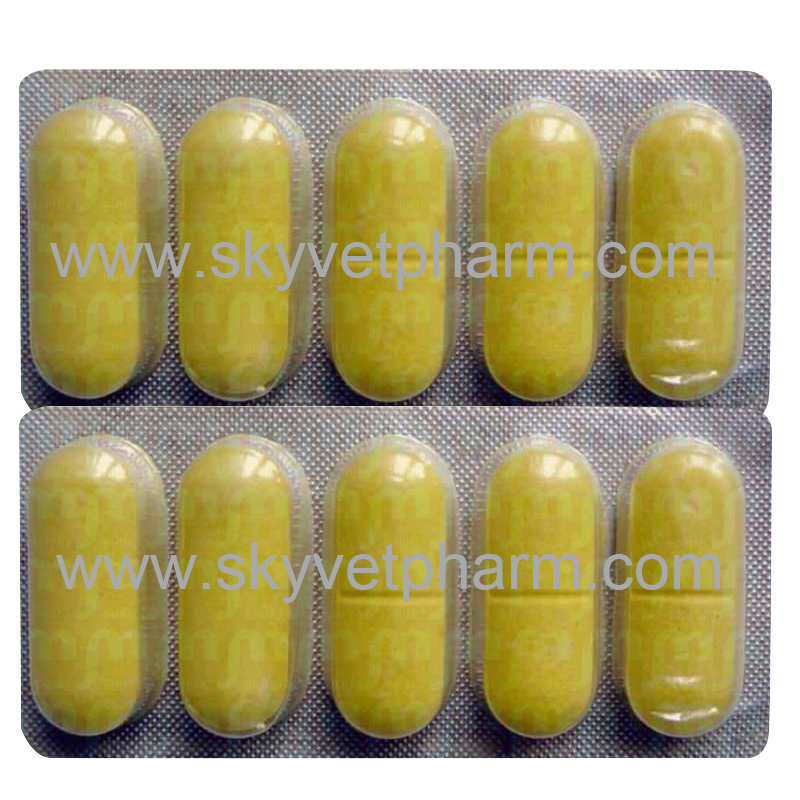 Oxyclozanide is a salicylanilide and acts against Trematodes, bloodsucking nematodes and larvae of Hypoderma and Oestrus spp. The tablet also contains cobalt as micro elements supplements. Cattle, sheep, goats and pigs: 1 tablet/10kg body weight. Albendazole has an affinity for rapidly dividing cells and may cause toxicity to bone marrow and intestinal epitheliulm. Adverse effects can include anorexia, lethargy, and bone marrow toxicity. At normal oxyclozanide dose levels, cattle may show slight softening of the faeces with the occasional animal showing increased frequency of defaecation and transient inappetence. The effects of oxyclozanide overdosage are dullness, diarrhoea, inappetance and loss of weight. These effects are occasionally enhanced in animals with severe liver damage and/or dehydration at the time of dosing. Avoid high doses. Pregnancy caution: Do not use during first 45 days of pregnancy.